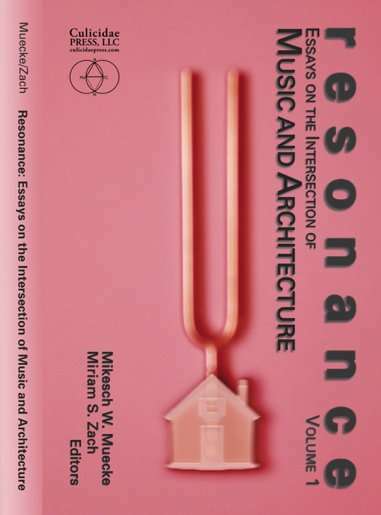 Resonance: Essays on the Intersection of Music and Architecture is a collection of nine texts written by international scholars. Most of the essays were originally presented at the interdisciplinary conference Architecture | Music | Acoustics that took place in Toronto, Canada, in June 2006 at Ryerson University. Colin Ripley was instrumental in organizing the event. The texts in the book range from historiographical and theoretical explorations of the relations between music and architecture via translations of architectural spaces into music to analytical case studies of architectural spaces for musical performance. Engineer/architect Sven Sterken (Belgium) explores music as an art of space through the work of the architect, engineer, and composer Iannis Xenakis. Architect and designer Kourosh Mahvash (Canada) investigates Murray Schafer’s Soundscape and its potential for a new pedagogy of architecture. Musician and landscape architect Galia Roe (Israel) examines existing notation systems and then develops a new scoring method for architectural analysis and design as she compares linear sequences in music and space. The ethnomusicologist, composer, and performer Kim Chow-Morris (Canada) chronicles the translation of a Toronto city street into a musical composition that was premiered at the Architecture | Music | Acoustics conference. Architect and professor Jim Lutz (USA) traces the transformations of architecture as instrument—and its inverse, instrument as architecture—through a series of projects that straddle the line between both fields of study. Architect and musician Yu Zhang (China) discovers musical design in the 18th-century architecture of the Altar of Heaven and the Zither Rhythm Studio in Beijing, China. Composer John Sands (USA) considers the societal function of music and architecture through an analysis of Markus Pernthaler’s Helmut-List-Halle in Graz, Austria. Architect and musician Garth Ancher (Australia) translates the intangible qualities of Miles Davis’ jazz-rock fusion into architecture through his design for a Contemporary School of Music in Launceston, Tasmania. Designer/architecture professor Mikesch Muecke and musicologist/music professor Miriam Zach (USA) trace in their essay the intersection of architecture and music throughout history in the work of architects and musicians, discovering along the way the potential of an interdisciplinary practice to transform both disciplines. 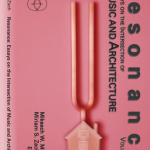 As a musician, composing music not only to be listened to, but also for listening to the sound and noises of the environment, I found “Resonances” a very instructive book to better understand the acoustical world around us: the environment speaks to us and we have to learn how to listen to it. “Resonances” reminds that sound is always place (natural or artificial-not only architectural), and that we have to become aware of this if we want to find resonances with the environment in which we live. This book was the best of three that I ordered in one sitting. I order Resonance, Rundamentals of Sound Design and Music and Architecture by Iannis Zenakis. This book has great matertial and really makes you think about awareness of your surroundings, not just visually but audibly and sonically. I recommend it for anyone who’s interested in architecture for and about music!! Mikesch Muecke holds degrees from the University of Florida and Princeton University. He currently teaches design studios, history/theory seminars, and courses on digital applications in the Architecture Department at Iowa State University. He maintains a design/build practice with his partner Miriam Zach (misumiwaDesign), and continues to create at every scale, from photographs and posters via books and pamphlets to full scale interior designs and small buildings. More information about his design work can be found online at www.polytekton.com. 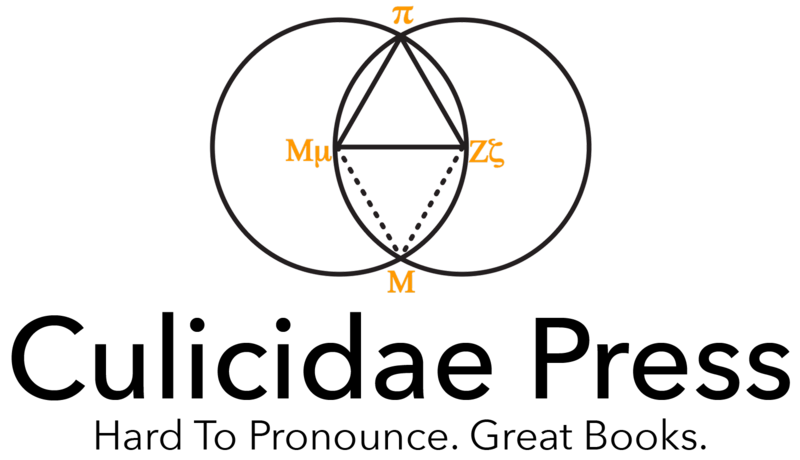 Miriam Zach holds degrees from Northwestern University, the University of Chicago, and the University of Florida. When she is not working on books about women composers (she is the founder and director of the International Women Composers Library), Miriam teaches music & health courses in the Honors Department at the University of Florida. She also maintains her own music studio where she teaches piano, harpsichord, and pipe organ.